This model is 178 cm and wears a size S/P. Their chest measures 81 cm and the waist 64 cm. Speedwick technology gives this fitted tank support, flexibility and the ability to keep you cool and dry throughout your workout. 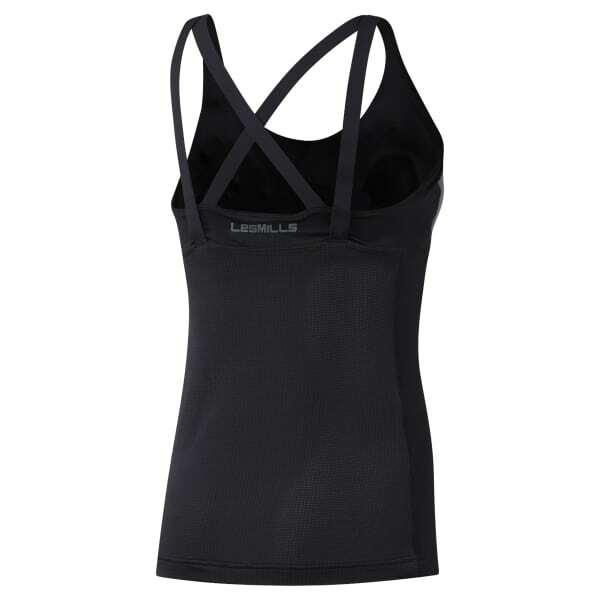 Rear mesh panels provide added breathability, while the inner bra gives added coverage without the need for an additional layer. BODYPUMP front-facing graphic shows them what you're made of.